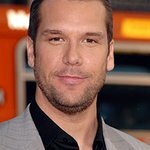 Dane Cook's ISolated Incident, the biggest comedy tour of the last year, is coming to a close and thanks to Charity Folks’ online auction, you can be there. Winning bidders will join Dane on Feb 5th in Jacksonville and Feb 6th in Miami for his final blowout Super Bowl Saturday show. They’ll catch Dane’s edgiest set ever with front row tickets & backstage passes to meet him after the show.